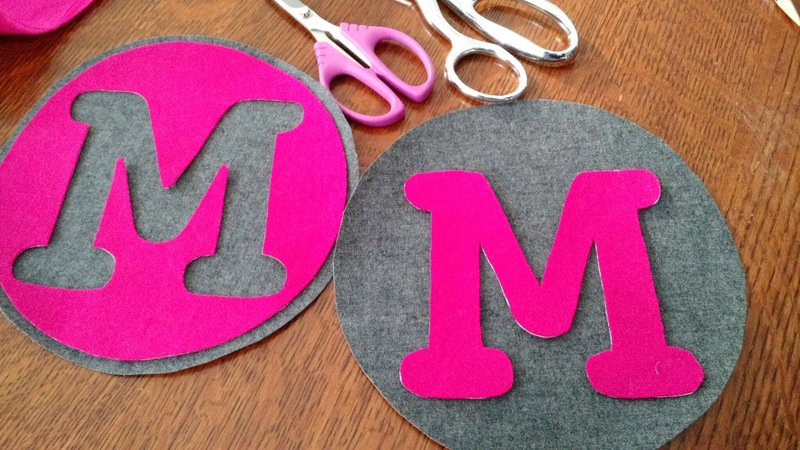 I have two types of monograms ready for you! “Circle within a circle” on the left, and “straight up” on the right. I explain how to cut the templates out below. 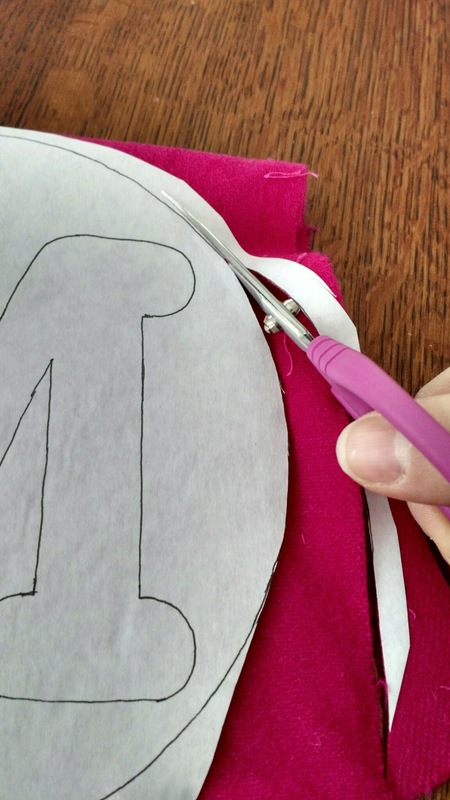 This free wool applique project, a monogram for a small monogram for a pillow or wall hanging, teaches you some basic techniques that I like to use for wool applique. In it, I will share how I make and use basic freezer paper patterns and some of the little details that help make your project look really nice and neat. A note about the templates I’ve provided: Many of these letters include the basic shapes you will want to practice, such as interior and exterior corners, and convex and concave curves. I have beautiful wool precuts and Valdani perle cotton threads in bright modern colors over in my etsy shop, as well as notions to get you started! The bundles are the perfect size for these monograms. a printout of your letter of choice. There are four font choices for each letter and I am providing a link to a dropbox folder where you can find them all. These are PDF files so uncheck “fit to page” to make sure they print at full size. Enough wool for the background circle (the outer circle is 7 1/2″ in diameter, so just slightly larger). If you wanted to use cotton fabric, that would be cute, too! Just use applique techniques for cotton to attach it to your backing. 1) Print out your image 100%. Place your freezer paper over this paper-side up, and using a fine tip permanent marker or pencil, trace both the outer and inner circles and the outline of your letter. These will be your cutting lines. A lightbox or window might be helpful with this. TIP: I choose not to cut the template out along the circle at this point, since I think you get crisper edges and a smoother cut if the freezer paper stabilizes the wool on either side of the line. 2) With a hot dry iron, press your template onto your wool background shiny side against the right side of the wool. This may take a bit of pressing, and pay particular care to making sure the freezer paper is well-adhered where the cutting lines are. 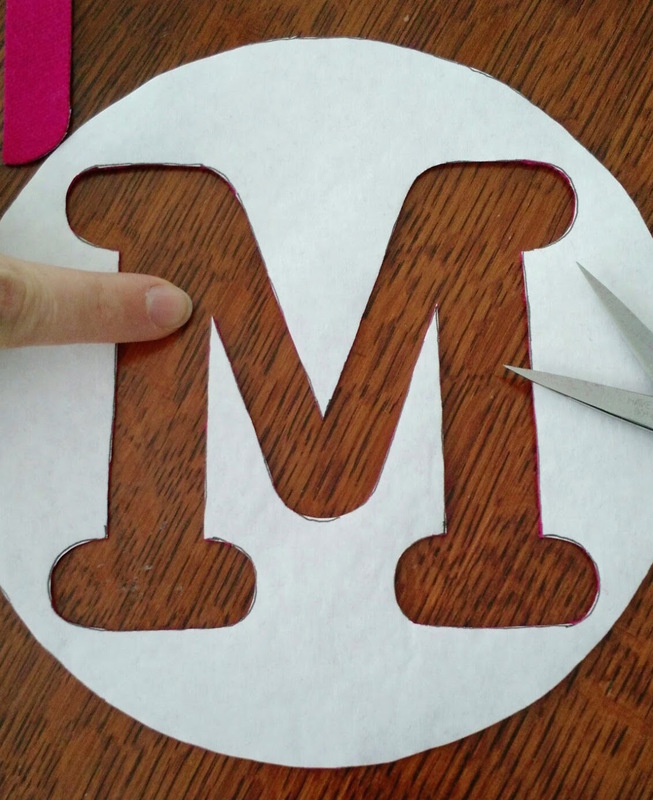 3) Using serrated scissors for best results, carefully cut out the outer circle. Run your finger along the edge and see if there are any high spots that need to be trimmed away. 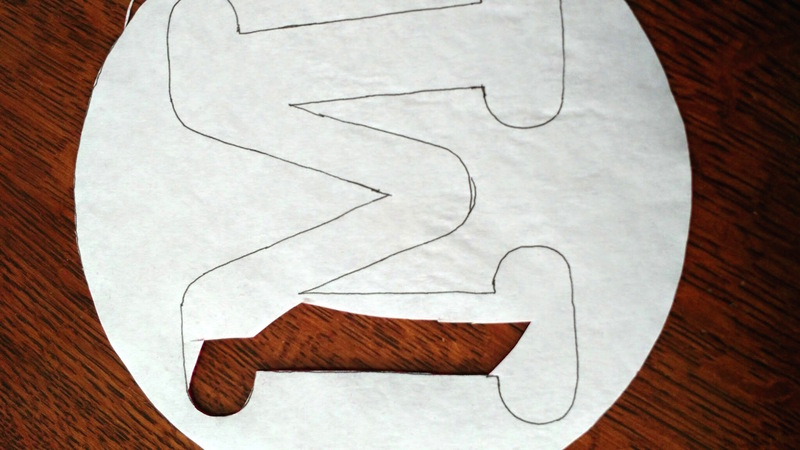 4) Peel off the template, and iron it shiny side down as before to the wool piece you picked for the negative space monogram. Cut out the interior circle and again feel to see if there are any high spots. The freezer paper on either side of my cutting line is key to having a nice stable cutting surface. 5) Cut out the letter by snipping a hole in the center of the letter, and carefully snipping your way to the outer edge of the letter. Take care here with the points and curves. Make sure that you don’t snip too far into any of the interior corners! I snip a hole right in the middle away from important edges and points. Working in small sections, I cut out a bit at a time. I’ll take a pen or pencil and sketch in a bit of a curve to cut off these points. These will be much easier to stitch! 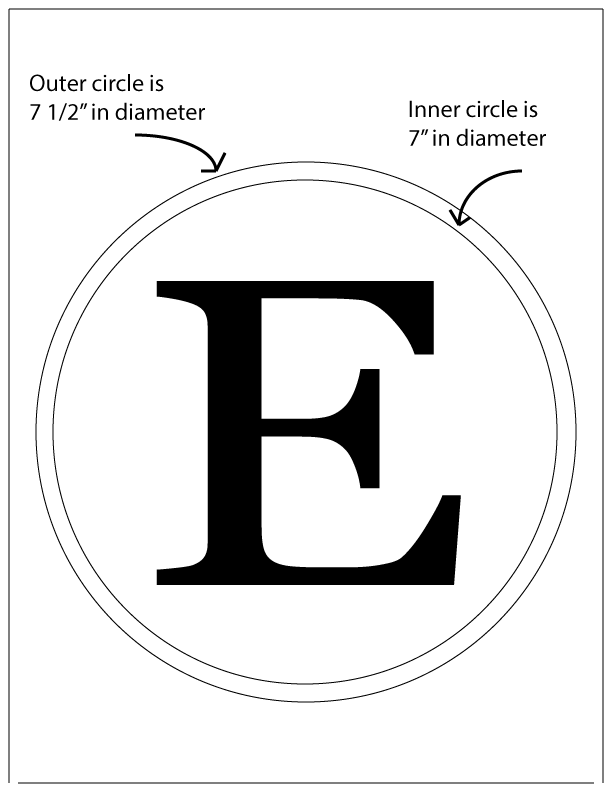 7) Once you are satisfied, peel off the freezer paper and center your inner monogram circle on your outer circle, and use pins or glue basting to hold it in place. I, personally, glue baste because I don’t like snagging myself on pins. I run a thin bead of washable school glue about 1/4″ in from the edges and heat set with an iron. After this, you’re ready to stitch! I like to go around all the edges, about 1/4″. Many of these directions are the same as above. 1) Print out your image 100%. 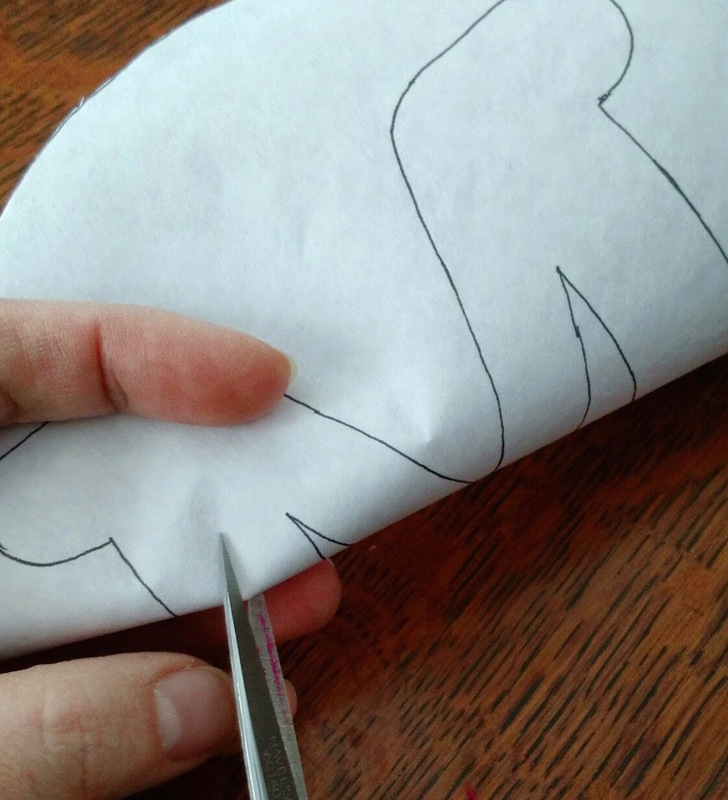 Place your freezer paper over this paper-side up, and using a fine tip permanent marker or pencil, trace both the inner circle and the outline of your letter. These will be your cutting lines. A lightbox or window might be helpful with this. TIP: I choose not to cut the template out along the circle at this point, since I think you get crisper edges and a smoother cut if the freezer paper stabilizes the wool on either side of the line. 2) Iron the freezer paper to the fabric you picked for your background, shiny side down. Cut out the circle along the cutting line, and use your finger to feel if there are any spots that need to be smoothed out. 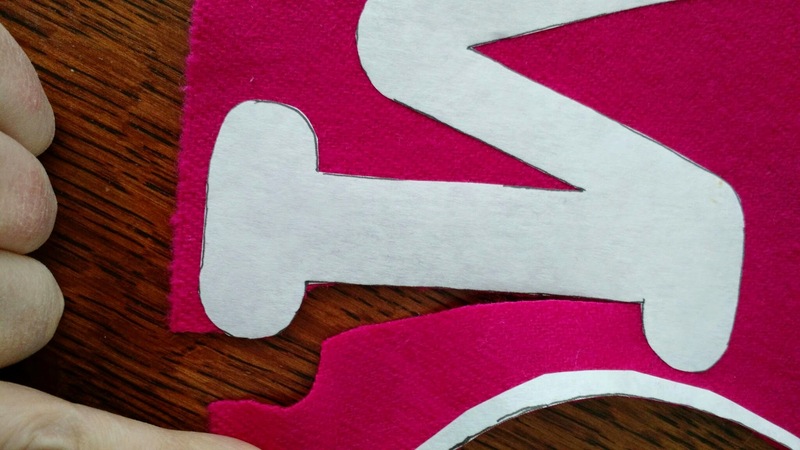 3) Peel off the template and trim the leftover freezer paper about 1/4″ shy of the exterior edge of your letter, leaving enough freezer paper for a nice, neat cut. 4) Iron it shiny side down to the second wool piece you chose for your letter. 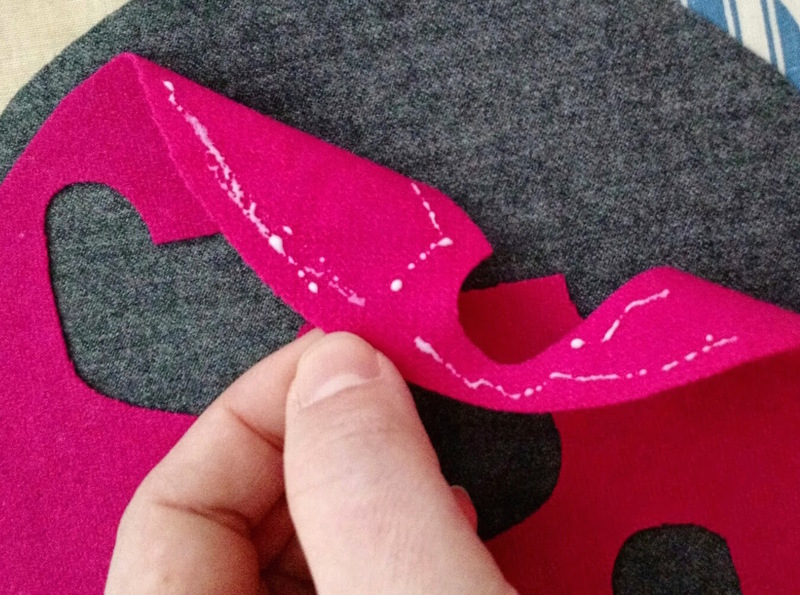 5) Cut out your letter, giving particular care to points, curves, and interior corners. Be careful not to clip into the corners! This will make your thread “sink” into the cut and your stitch will look as if it is lost. Be super careful not to snip into these interior points! I gave myself a bit of slack here, and will go back and carefully snip out that corner. 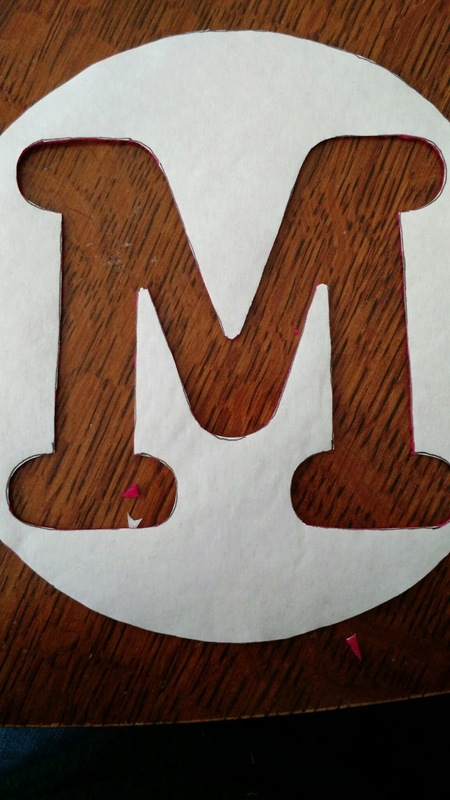 6) Peel off the freezer paper, center your monogram letter onto the background, and baste in place, as above. Now you’re ready to applique! My next wool applique post will be on the basic blanket stitch by hand as well as machine applique, and some sweet notions to help make for a fun experience. Hi Amanda! I have a tub full of wool pieces that are left over from when I cut up jackets for rug hooking. These pieces still have the glue on them & some still have interfacing which I’ve been steaming off. I stored them away for another time and I’ve been cleaning up my stashes and searched to see if they could be used. I found you through google search. Thanks for tutorials on wool applique and by the way, the pdf link about the monogram stencils isn’t working. Again, thanks a bundle!